Chinese use different social networking sites such as Facebook for social networking, LinkedIn for professional social networking, eblogger for blogging purpose, Twitter for microblogging, WhatsApp for mobile chat, YouTube for sharing videos, Flickr for photo sharing and wikis for acquiring information related to various aspects. Individuals in China make use of Spotify for streaming online music, eBay for online trade, Quora for quality and assurance( Q&A). 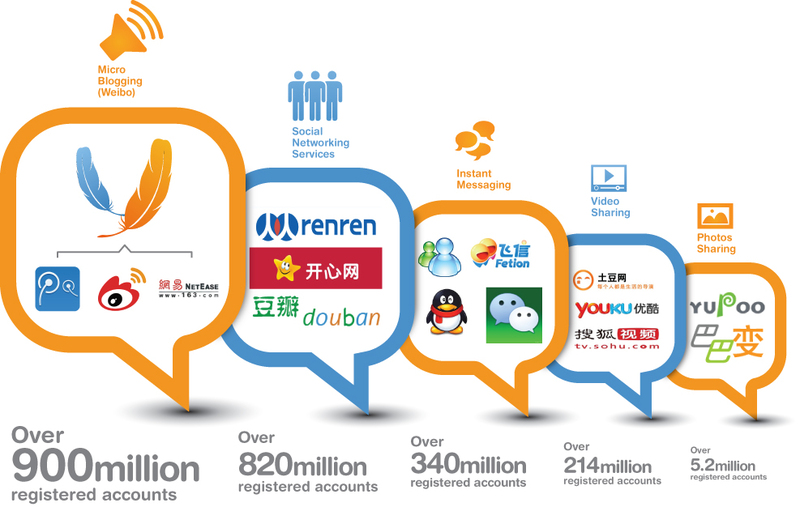 Please find below the infographic which explains the Chinese Social Media Activities.